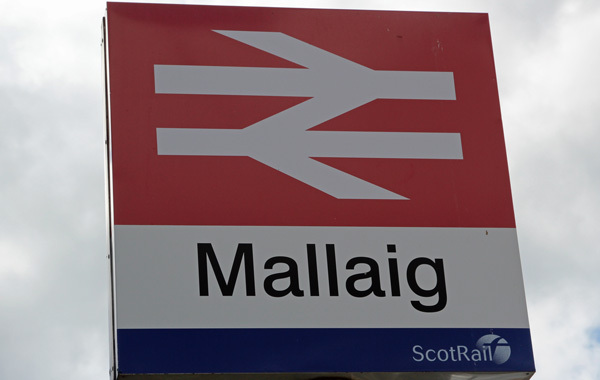 The journey between Fort William and Mallaig on The West Highland Railway has been described as one of the most scenic railway journeys in the world and affords the opportunity to experience some impressive sights including Ben Nevis (the highest mountain in Britain), The Glenfinnan Viaduct and the Caledonian Canal as well as affording magnificent views of The Small Isles. 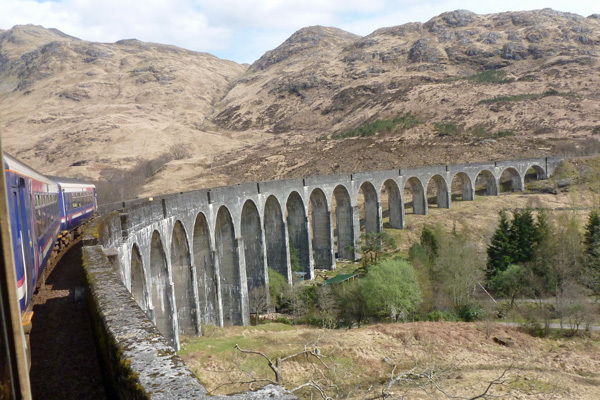 The train crosses a 21-arched viaduct at Glenfinnan, passes the lovely silver sandy beaches of Morar (made famous in the film Local Hero) as well as stopping at several small stations on route. 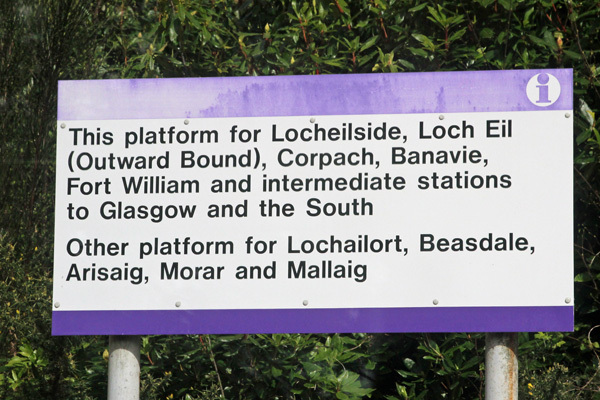 Stations include Morar, Arisaig, Beasdale, Lochailort, Glenfinnan, Locheilside, Loch Eil, Corpach and Banavie. There are four tunnels on route. 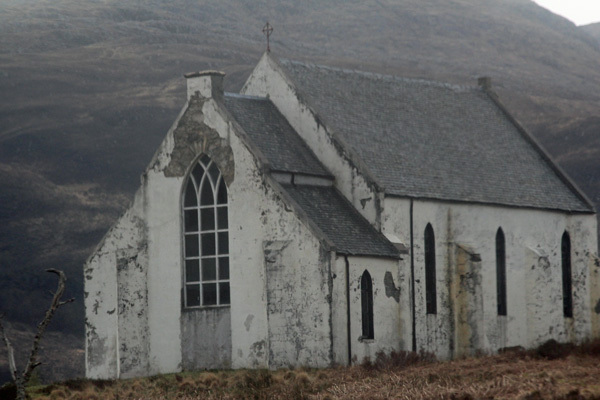 Look out for Our Lady of the Braes Roman Catholic Church consecrated in 1874 by Lochailort which also featured in the film Local Hero. 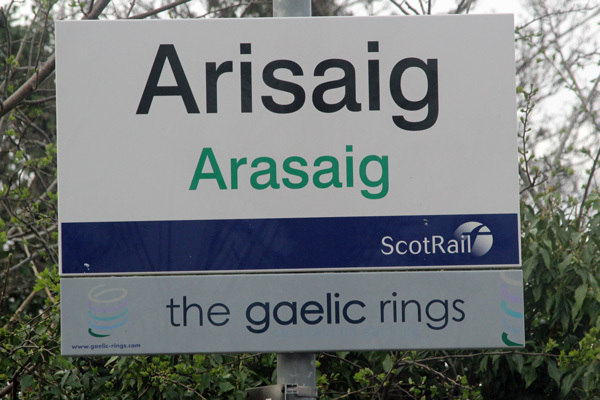 Whilst the famous Jacobite steam trains runs between May and October each year, the Scotrail Diesel service runs throughout the year and provides a cost effective alternative way to experience the delights of The Road to The Isles. 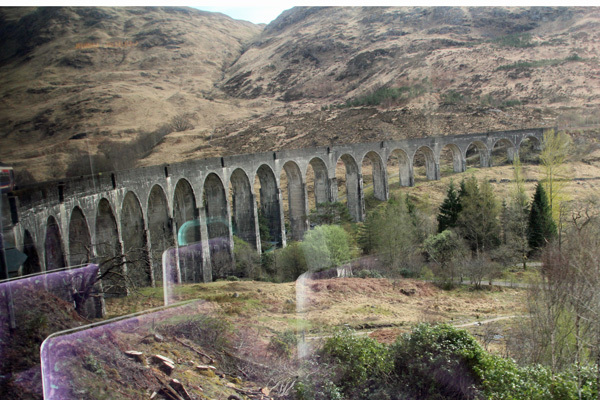 Large picture windows and the freedom to move around the train helps to make for a relaxing journey with ample opportunities for photography. 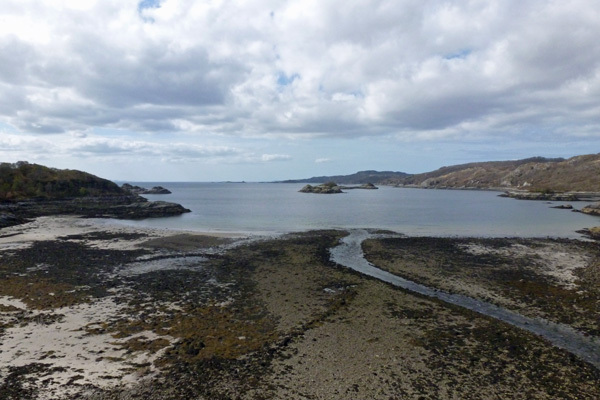 We started our journey at the picturesque fishing port of Mallig, which affords fine views of the Small Isles. 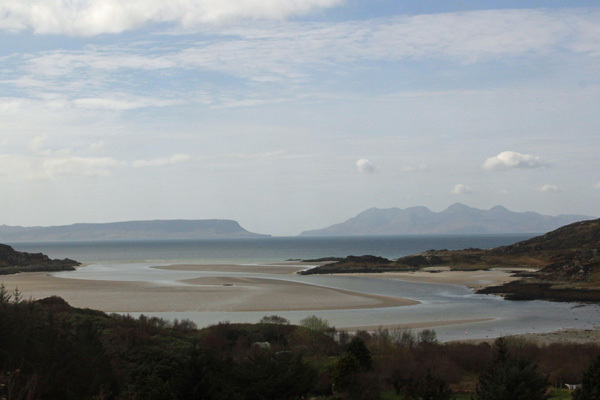 The train leaves Mallaig behind and quickly passes through the stations of Morar and Arisaig affording both loch, sea and hill views. 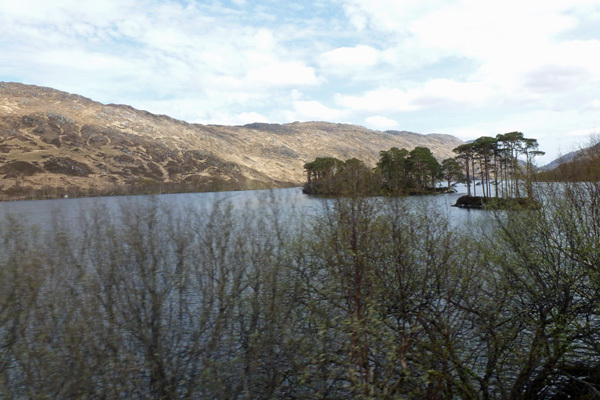 Shortly after, there are some lovely views of the coastal oakwoods of Glen Beasdale in Morar, a Special Area of Conservation (SAC). The woods at Glen Beasdale are considered one of the best examples of Western acidic oak woodland in the UK. 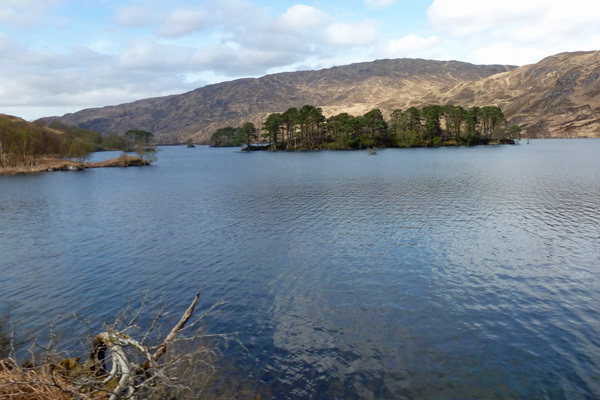 The line then skirts by the sea lochs, Loch nan Uamh with its Prince’s Cairn, and Loch Ailort before skirting by the shores of the freshwater loch, Loch Eilt, providing a brief opportunity to look out for black throated divers and otters. 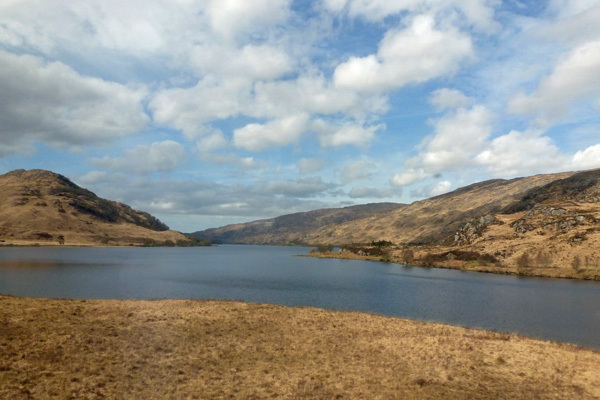 Scan the hills for golden eagle and ravens in the hills. 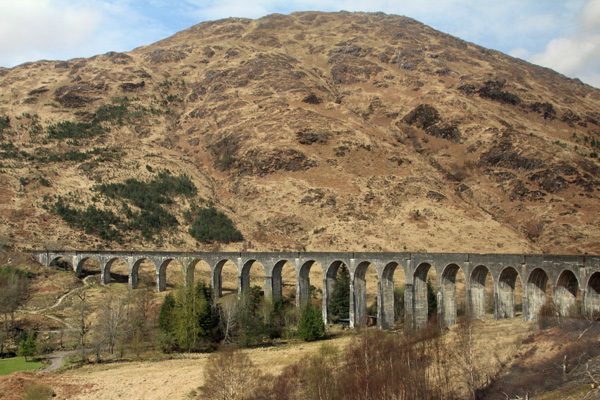 The next stop is Glenfinnan, at the foot of Loch Shiel and then by Glenfinnan Monument across the magnificent 21 arched, mass concrete viaduct made famous in the Harry Potter movies. The train slowed down at this point to provide an opportunity for photos. 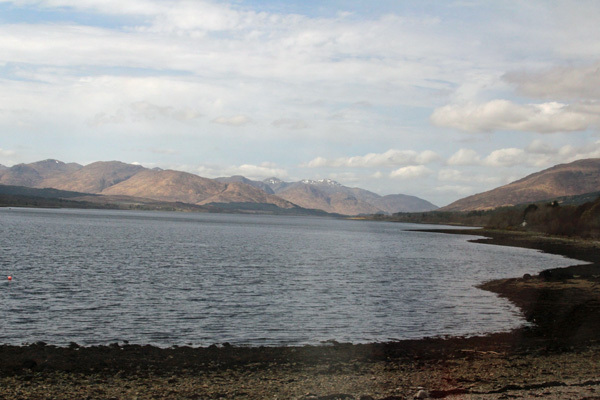 The train then continued onto Locheilside station at the western end of Loch Eil, affording good opportunities to look out for waders along the shores and ducks in the loch. 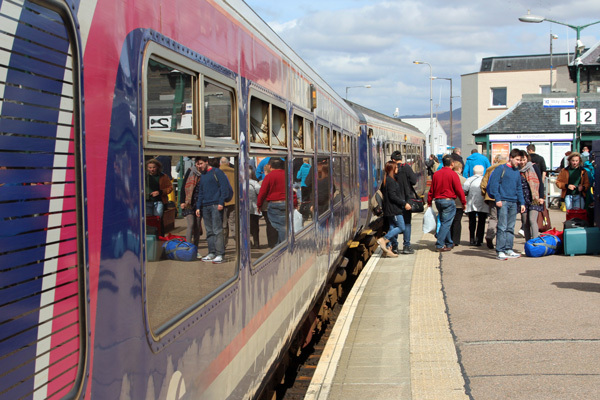 The train stops at Corpach, at the start of the Caledonian Canal, constructed by Thomas Telford. 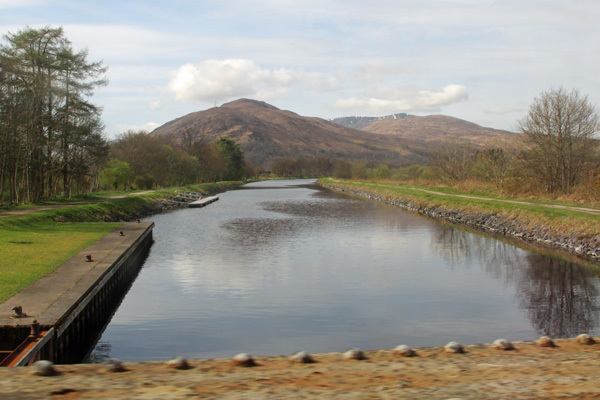 The Canal runs between eastern and western Scotland and links Loch Lochy, Loch Oich and Loch Ness with stretches of man-made canal. It is 96.6km (60 miles) long of which 35.4km is constructed canal. 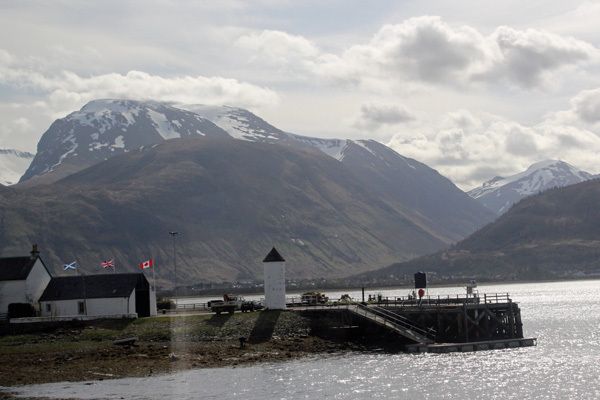 Look out for Neptune’s Staircase, at Corpach, a series of eight locks that allow boats to navigate through a steep section (70 feet) of the Caledonian Canals. 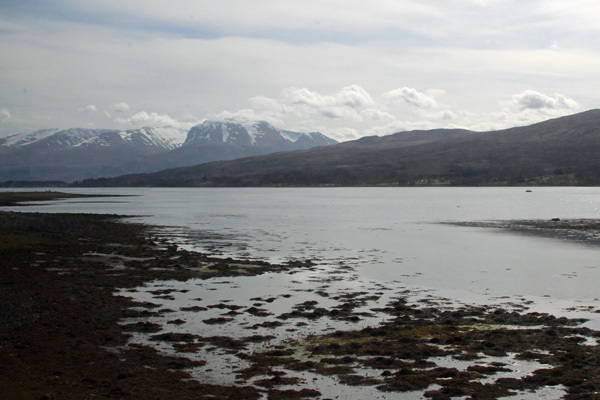 The journey provides some fine views of Ben Nevis, as you approach Fort William. 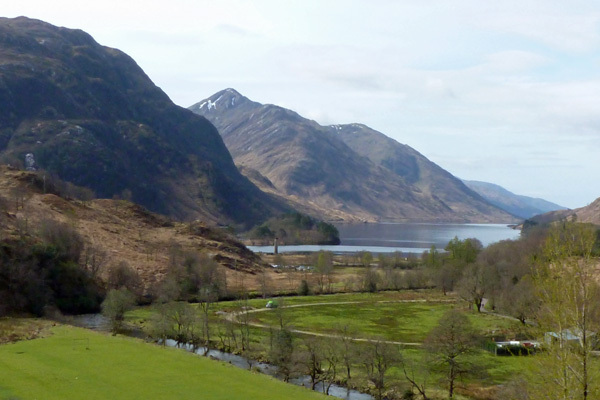 You have an opportunity top spend a few hours in Fort William, a town with royal connections and an eventful history. A fort has stood on the site since 1654. 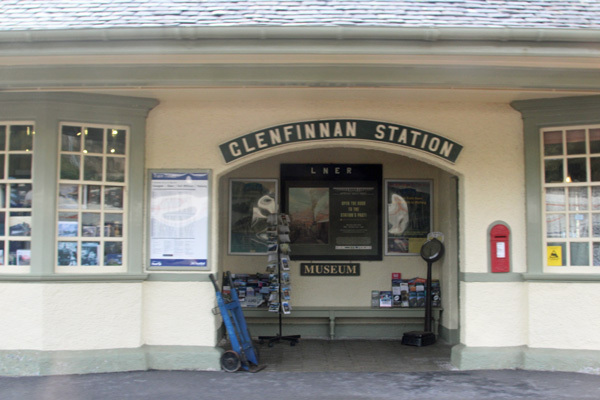 Visit the West Highland Museum to find out about the mixed fortunes of this Highland township. Seek out the remains of the Old Fort, by the seafront, the parade grounds on the High Street and, if time, the original archway to the fort now located at Craigs Burial Ground. There are also ample shopping opportunities and cafes, pubs and restaurants. 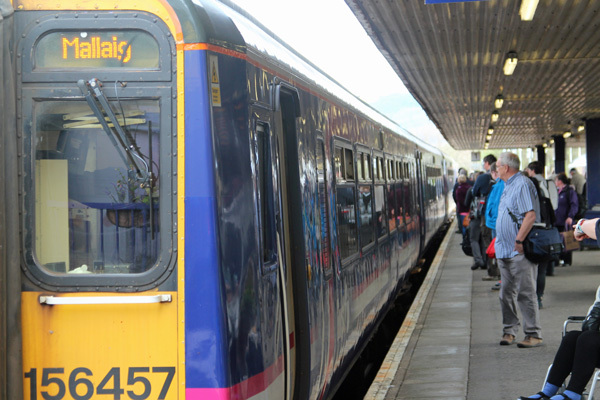 You can pre-book tickets prior to your journey and pick the tickets up at the station on arrival.